in the morning hours. If the long range forecast is correct, we won't get any rain until Wed. afternoon. Wednesday, Cloudy skies early. A few showers developing later in the day. High 81F. Winds NE at 5 to 10 mph. Chance of rain 40%. Wednesday Night Rain showers in the evening becoming more intermittent overnight. 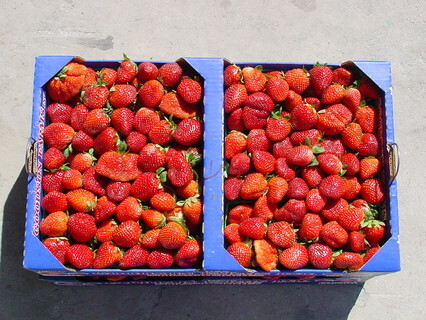 Strawberries prices are now where everyone can afford them. Last week they went from a low of $6.50 to a high of $9.00 a flat. Tomatoes from $8. to a high of $14. for a 25 lb. box. Prices are stabilizing and returning to a more normal level. As the local crops start to come in, prices will drop some more. It's not me who can't keep a secret - it's the people I tell that can't. Three Country Music Stars Die In A Plane Crash. Patsy Cline, Cowboy Copas and fellow Grand Ole Opry stars Hawkshaw Hawkins were passengers on a plane piloted by Randy Hughes, Randy was Cline's manager, a talented musician and stage performer and the husband of Copas' daughter, Kathy. Around 7 p.m. March 5th 1963, Hughes' plane went down in woods near Camden, Tenn., about 88 miles west of Nashville. 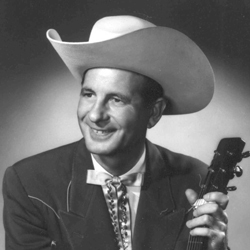 Lloyd "Cowboy" Copas, He burst onto the country scene with four consecutive top 10 hits in the 1940s, He wound up on the cover of Billboard magazine. After that, he was in an eight-year slide in popularity before storming back in 1960 with a 12-week No. 1 hit called Alabam, a song that restored his standing as a major country star. AKA Hawkshaw Hawkins, He had just released what would become his first and only No. 1 country hit, Lonesome. 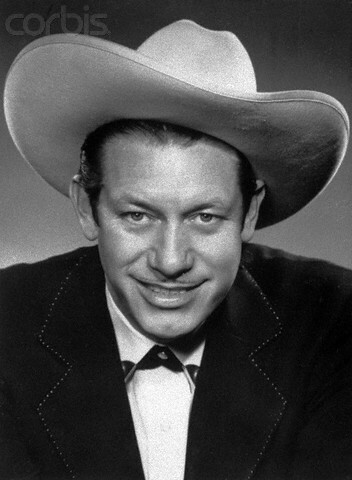 He was an American country music singer popular from the 1950s into the early 60s known for his rich, smooth vocals and music drawn from blues, boogie and honky tonk. At 6 ft 5 inches tall, he had an imposing stage presence, and he dressed more conservatively than some other male country singers. He was a member of the Grand Ole Opry and was married to country star Jean Shepard. Virginia Patterson Hensley known professionally as Patsy Cline, was an American country music singer. Part of the early 1960s Nashville sound, Cline successfully "crossed over" into pop music. She died in a multiple fatality crash of her private plane at the age of 30. She was one of the most influential, successful and acclaimed female vocalists of the 20th century. Her hits began in 1957 with Donn Hecht's and Alan Block's "Walkin' After Midnight", Hank Cochran's and Harlan Howard's "I Fall to Pieces", Hank Cochran's "She's Got You", Willie Nelson's "Crazy" and ended in 1963 with Don Gibson's "Sweet Dreams". 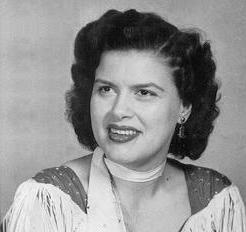 On March 3, 1963, Patsy Cline traveled to Kansas City to perform three shows as a benefit for the family of disc jockey Cactus Jack Call, who had just recently died in a car accident. Sharing the stage with her that day were such performers as George Jones, Billy Walker, Dottie West, Cowboy Copas and Hawkshaw Hawkins. Friends, June Carter Cash and Loretta Lynn, all have since recalled Cline told them in the months preceding this performance that she felt a sense of impending doom, and didn't expect she would live much longer. She even began distributing her personal items to friends, and making plans for her will and the care of her children. Click link below for Free Parking Pass & Dealer Discount.